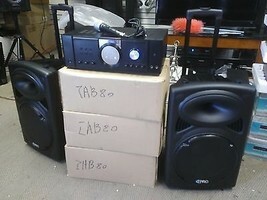 Open Box 2500 watt Technical Pro DJ system Amplifer,2 Speakers, Microphone. This item is selling for $279.99 on eBay. Technical Pro makes some of the best audio and video gear on the market for the professional studio and stage. The same technology they use for the professional sound world can also be found in their highly regarded home equipment. Adding this to your home entertainment system or setting this up for you yard or deck parties is guaranteed to impress your friends and family and provide hours of group entertainment…and provide some of the best sound you’ve ever heard! The IAB80 is an amplifier that can push out 2500 watts of peak power. 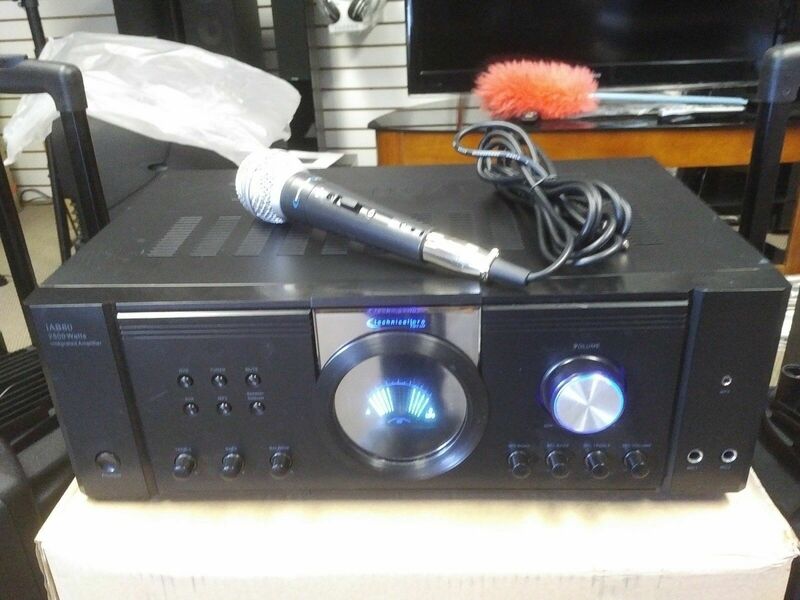 This is the type of power used in clubs and on live stages…but it’s made for your home! 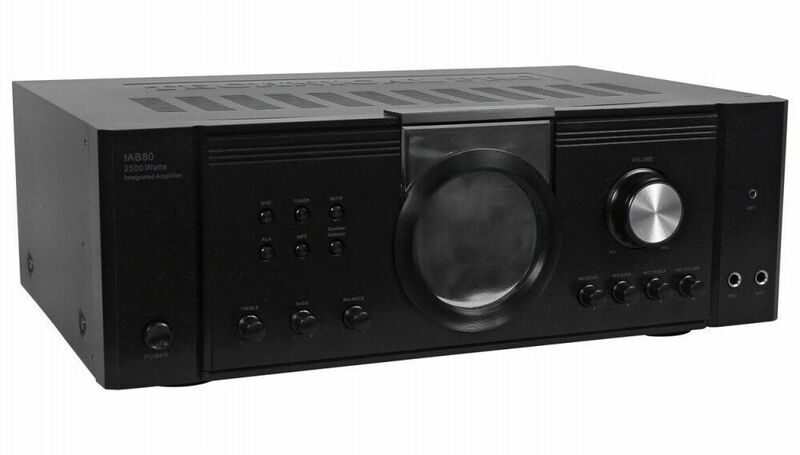 The amplifier can be connected to four sources through RCA inputs. 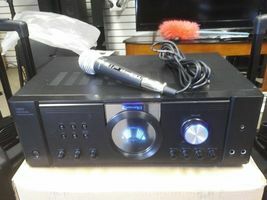 Plug in your tuner, CD player, DVD player audio, or CD player, etc. An additional iPod™ / MP3 connection is also included with an input cable. 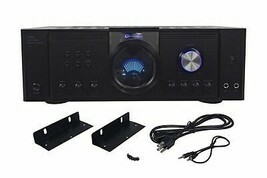 Connect your iPhone™ or iPod by using the MP3 input and play your songs through your home theater system! The outputs consist of four banana binding post that can output to four loudspeakers. Also included is an RCA output that can be used as a record line out. 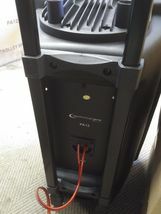 This is a state of the art amplifier system that can push out some serious power! The front panel also hosts all of the controls for playback, source selection and volume control. The front panel is illuminated with a digital output display monitor. Also included are controls for the microphones including volume, bass, treble and echo. If you are hosting a party and want to add a little color to your voice, turn up the echo control and give your voice a bit a flare! Built in is an industrial cooling fan to keep this unit cool during extended use. There are also removable rack mounts included. 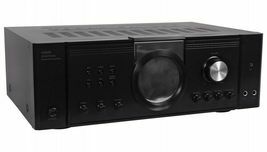 The IAB80 is perfect match for any home...either indoors or outdoors it will bring hours and hours of enjoyment for you guest, family and personal use…and at a great price! If you've spent any time at all in professional audio, you know the name Technical Pro and what it stands for—incredible performance & sound, and the ultimate in reliability under harsh conditions. 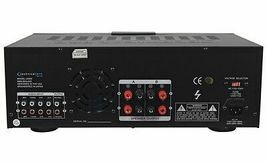 And now, Technical Pro offers the same technology in a series of integrated amps and receivers bringing more of what sets Technical Pro apart from all others.